Editor's note: John Avlon is the author of "Independent Nation: How Centrists Can Change American Politics" and writes a weekly column for The Daily Beast. Previously, he was chief speechwriter for New York Mayor Rudy Giuliani and was a columnist and associate editor for The New York Sun. 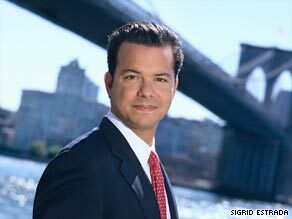 John Avlon says President Obama should steer a middle course between Democratic and Republican extremes. NEW YORK (CNN) -- President Obama's decision to address a joint session of Congress on Wednesday is a gutsy gamble -- a recognition that the health care reform debate has gone off the rails and needs to be recentered. At stake is the credibility of one of the president's core campaign appeals to the American people -- that he could be a bridge builder who would heal the hyper-partisanship that defined domestic politics during the Bush years. After a fractious summer, expect the president to call for common ground and try to elevate the debate. He should point out, rightly, that health care reform has been pursued since Harry Truman and that never has such a broad coalition supported reform that decreases costs and increases access. He should describe the extremes that have hijacked the debate -- not only fear-mongering from the right, but the overreach, all-or-nothing insistence from some liberals on the left. He should acknowledge his own mistakes as well -- the self-imposed August deadline for congressional action was a bridge too far and too fast for this most difficult issue. But the most important move he could make would be to respectfully articulate the concerns of citizens who have turned out at town halls this summer -- concerns about the size and cost of health care reform at a time when we face the possibility of an unprecedented $9 trillion deficit. He needs to present a path for a return to fiscal responsibility to depolarize the health care debate. Soaring presidential rhetoric won't turn the tide alone. After over-delegating the drafting of the legislation to Congress, the president must set out a clear plan with some hope of bipartisan support. This could mean embracing the work of the so-called Gang of Six senators from both parties, including acceptance of the nonprofit cooperative as an alternative to his preferred public option. This show of compromise can help set the tone of common ground. A powerful bit of political judo would be to embrace a form of medical malpractice reform as an olive branch to Republicans. It is a sign of the persistence of hyper-partisanship that even with substantive concessions, Obama is unlikely to gain significant numbers of GOP support. But that specter cannot justify a party-line vote. Every major piece of social reform legislation in American history, from Social Security to Medicare to welfare reform, passed with bipartisan support, and it would undercut Obama's post-partisan promises to have this be the lone exception. Steering legislation toward broader support is a sign of leadership. Some are asking why a speech to the joint session is necessary. After all, the last out-of-the-ordinary special session speech occurred after the attacks of September 11, and Oval Office addresses proved perfectly effective for presidents like Ronald Reagan in a legislative push. The answer, I think, lies in Obama's own comfort zone. Reagan, an actor, could project emotion effectively into a camera lens amid an otherwise empty room. Obama is still a campaign orator, feeding off the energy of a live audience. And he will be speaking to the audience he needs to call to action -- Congress needs to be challenged to live up to the expectations of the American people: for Democrats to pursue a less partisan approach than the Republicans did under Tom DeLay and Co.; and for Republicans to engage the debate in positive ways and be part of a solution. On the right, there are critics who are hoping for Obama to fail. On the left, you will hear voices characterizing any shift to the center as a retreat and a defeat. Both will attempt to spin this speech as Obama-on-the-ropes. But an Obama campaign aide once compared his political strengths to Muhammad Ali's famous rope-a-dope in the Rumble in the Jungle. He may appear to be battered around at times, but he is letting his opponents punch themselves out, seeming extreme in the process. He is taking the longer view, looking for an opening and rising against the lowered expectations, returning to his core strengths and emerging as the king of the political ring. No one else is close to claiming the title, and no one should count him out.